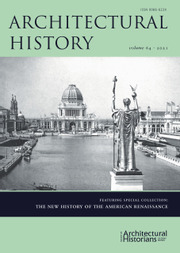 Discussions of apocalyptic thought and its sources in the ancient Near East, particularly Mesopotamia, have a long scholarly history, with a renewed interest and focus in the recent decades. Outside Assyriological scholarship as well, studies of the apocalyptic give significant credit to the ancient Near East, especially Babylonia and Iran, as potential sources for the manifestations of this phenomenon in the Hellenistic period. 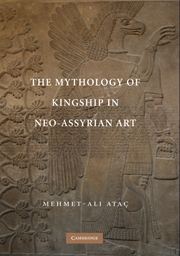 The emphasis on kingship and empire in apocalyptic modes of thinking warrants special attention paid to the regal art of ancient Mesopotamia and adjacent areas in its potential to express the relevant notions. 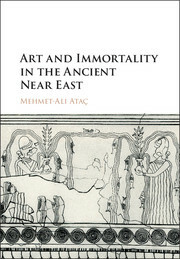 In this book, Mehmet-Ali Ataç demonstrates the importance of visual evidence as a source for apocalyptic thought. 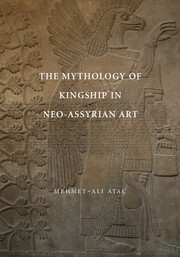 Focusing on the so-called investiture painting from Mari, he relates it to parallel evidence from the visual traditions of the Assyrian Empire, ancient Egypt, and Hittite Anatolia. 6. The royal destiny: the 'garden scene' of Ashurbanipal revisited.